If you want to block a view or create more privacy in your landscape, we have plants for you. At Cobb Nursery by the riverside we have plants in containers and field- grown plants as well. If we don’t have what you are looking for, we may be able to find it for you. Let us help you create what you are looking for in your landscape. Plants that can work as a privacy screen (that we have) are listed below. Plants in the field can be dug in the fall and spring for planting. Container plants can be planted almost anytime with care and appreciation for the elements and the plant needs. COBB NURSERY is nestled beside the Catawba River 10 minutes northwest of the city of Morganton in western North Carolina. We proudly grow and sell high quality trees at our nursery. 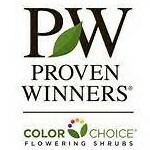 At COBB NURSERY, we strive to offer first rate plants along with excellent service. If we don’t have it at our nursery, we will do all we can to locate it for you. We would love to have the opportunity to work with you in supplying your landscape needs. © Copyright 2019 Cobb Nursery. All Rights Reserved.